When The Barman Cometh‘s Mixology Monday topic was declared ‘Flores de Mayo‘, for a brief second we thought of the Ramos Gin Fizz and orange blossom water, but then we came to our senses and realised that we should write about something we know and that our dear readers might have a chance of ordering. 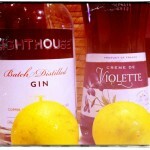 So we went with our old friend the Aviation, made the original way, with crème de violette. Where to begin? Undoubtedly, the Aviation is our favorite cocktail, so forgive us if we stray into misty-eyed autobiographical territory. We love it and return time and time again. 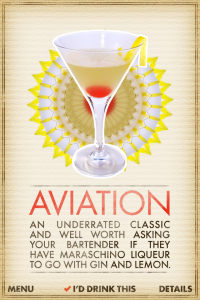 Doug has his Pegu, Gazza has his Manhattan, but for us it’s the Aviation. The sad thing is, we rarely order it, preferring to make it ourselves – not a path we’d necessarily recommend for everyone, especially now with such great ingredients being available. Way back when we first heard of it, maraschino liqueur was near impossible to find so it was a good thing the recipe we were working of didn’t call for violette because, as it turns out, it’s even more mysterious. So for a decade we made ours without. Then the wonderful purple coloured stuff came into our lives. Perhaps one day we’ll develop a sufficiently cultured nose to tell the difference between brands and insist on a particular kind (like we do with maraschino). Shake over ice and serve in a cocktail glass and garnish with maraschino cherry if we are feeling particularly rambunctious. Friends seem recall days spent with grandmother and those less charitable make some comment about it smelling old-fashioned (and not in a good Old Fashioned cocktail kind of a way either), but everyone seems fit to comment about an Aviation made with crème de violette. 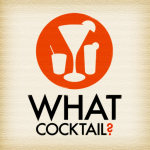 No one will be surprised that the Aviation is included as one the classic drinks in the iphone app What Cocktail? but what is interesting is that it’s ranked number 7 by people who use the app. 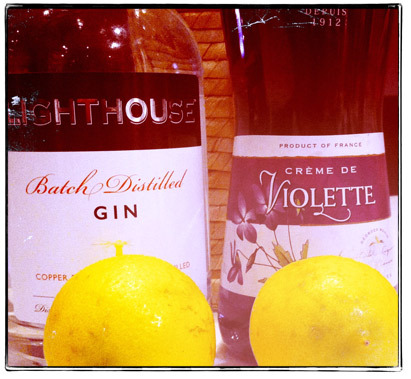 Well above such big names as the Cosmopolitan and the Lemon Drop. Clearly a discerning lot. A big thanks to Dave at The Barman Cometh for hosting MxMo LVII.